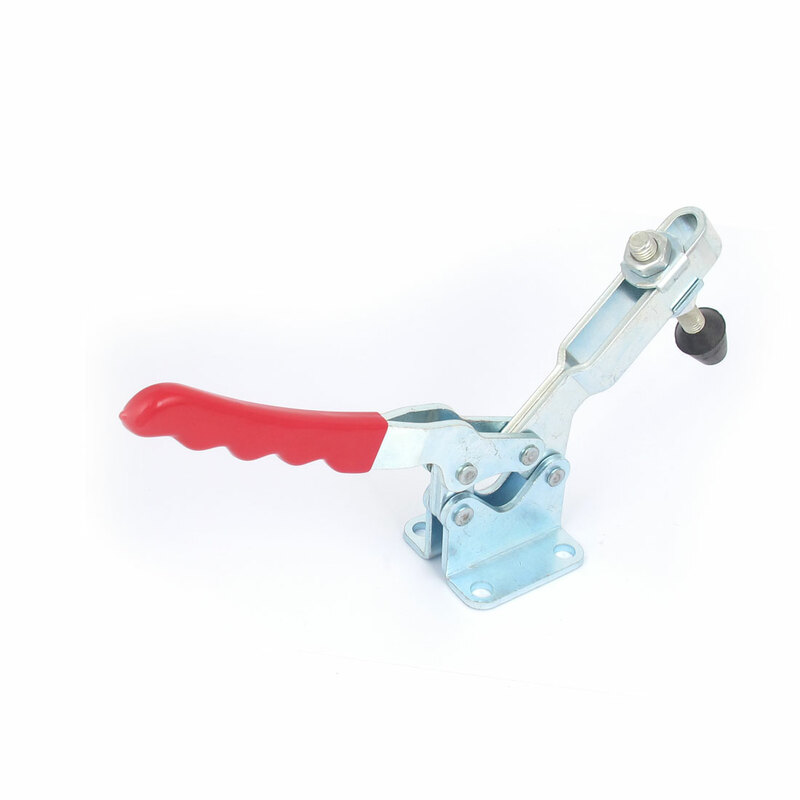 Side Mount hold-down toggle clamp, horizontal type, u shaped bar, flanged base. with soft plastic cap spindle. Most suitable for quickly holding down sheet metal or circuit boards, for machine operation, welding, mould, electronic equipment assembly, etc field.